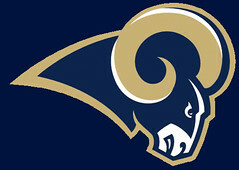 On Thursday night, the St. Louis Rams will host the Arizona Cardinals in front of the national television audience at the Edwards Jones Dome. The Rams come into the game with a 2-2 record; fresh off their win over Seattle on Sunday afternoon. Arizona is one of the three unbeaten teams remaining in the National Football League after their overtime win over the Miami Dolphins on Sunday. These two teams are playing in their first of two games against each other. They will play again the Sunday following Thanksgiving in Arizona. The Cardinals come into this game as a slight favorite. St. Louis has yet to be favored in a game this season, but have two wins. Have your pick? Ready to bet? Bet here on the Thursday night game! Can the Rams get their offense going? Sam Bradford and the offense need to get going for St. Louis. Bradford has not had his offense score a touchdown since week two. Against, Chicago it was all field goals, and then the win over Seattle was field goals and a touchdown throw from the punter, on a fake field goal. The Rams are the 28th ranked passing offense in the entire league. St. Louis is throwing for less than 200 yards per game. Stephen Jackson, the top running back threat for the Rams has yet to get into the end zone, and has been nursing a sore groin. The Rams receiver Danny Amendola has two touchdown receptions on the season, including the big one against Seattle on the fake field goal. St. Louis is tied with Seattle for third place in the NFC West. Check out this top bookmaker to bet on tonights game. The Arizona Cardinals have been one of the biggest surprises in all of the National Football League. Arizona has won four games despite picking up less than 280 yards of offense per game on the season. The Cardinals rank 25th in passing and 29th in rushing offense. The Cardinals defense has been pretty good, allowing just 15.3 points per game. The biggest win of the season thus far for the Cardinals came over the New England Patriots in week two. The Cardinals also beat Philadelphia, for their only loss of the season in week three. 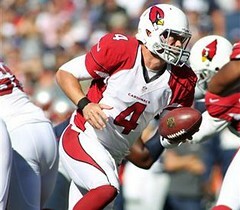 Arizona has seen Kevin Kolb complete 67 of 107 passes on the season for 7 touchdowns. The Cardinals Andre Roberts leads the way with four touchdown receptions. The Arizona Cardinals come into this game as a 1.5 point favorite. The total set for this game is set at 39. The Rams have been good at home; winning both of their games so far. Arizona has one road win on the season, coming at New England. The Rams hope to get going early and often, and finally capitalize when inside the red zone. Arizona would like to use their smothering defense to keep the Rams out of the end zone, and also turning over the football. In the end, we feel St. Louis is going to come up with another big home victory. We are betting the St. Louis Rams 20-14. We are also going to bet the under 39 in this game.